So I thought I'd do a little giveaway here today, ok with you? 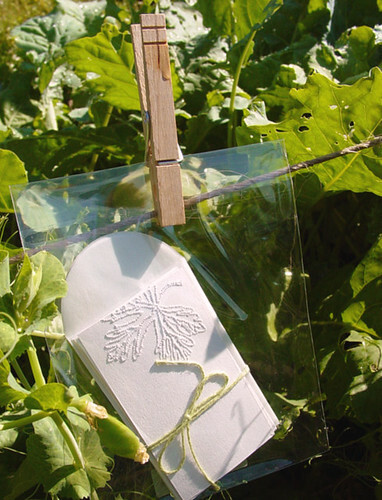 This set of enclosure cards has five different foliage patterns and each has it's own glassine envelope. I'll use the random number generator Thursday [morning around 9 am. cst] to select a recipient of a set of my foliage pinhole cards. I'll announce the 'winner' Thursday morning as well. To be entered, simply share a comment about what's on your mind today or something you're thankful for. Thank you!